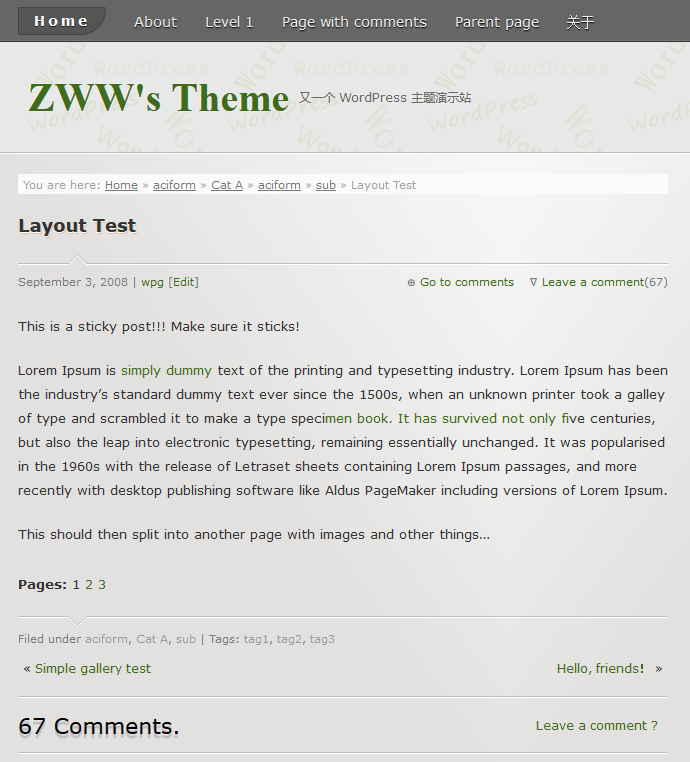 It is a simple WordPress theme. 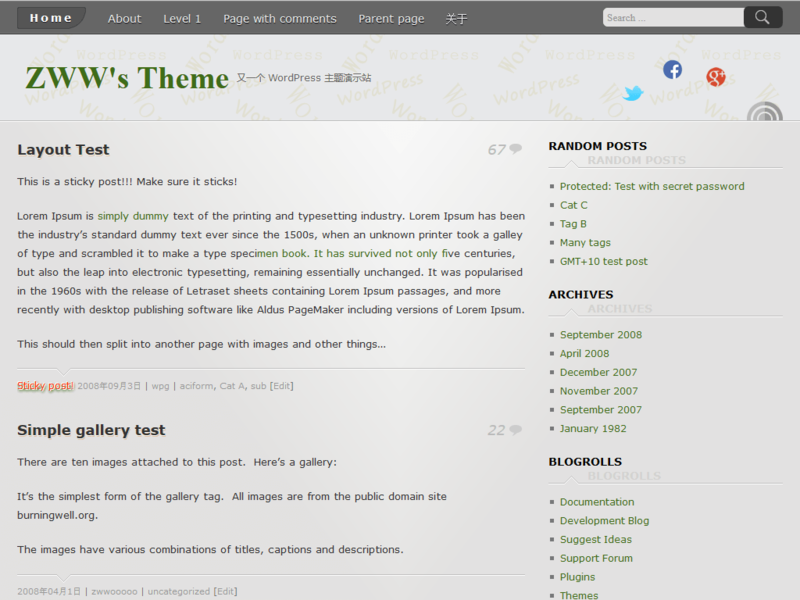 This theme is distributed under the GNU General Public License (GPLv2). - Custom Favicon is right for you if you want to use a awesome favicon in the field before your site address. - In order to use this feature, you need to upload a picture, general size of 16x16, and upload to somewhere else EXCEPT the root folder of domain(for its the default address). And remember the address of your favicon. For example via ftp, you upload it(favicon.ico) to zborder theme foloder like "themes/zborder/", the address will be "http://yourdomain/themes/zborder/favicon.ico". Copy and paste this address to theme options field of Custom Favicon, it will be activated. And you can upload it to ANY image placeholder, just get the image address. - Like mentioned in Custom Favicon, want to use your custom LOGO(size of 200x100), you need to upload your image to somewhere. For example you upload it(logo.png) to zborder theme foloder like "themes/zborder/", the address will be "http://yourdomain/themes/zborder/logo.png". Copy and paste this address to theme options field of LOGO url, and click the save button. 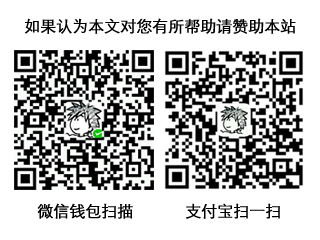 And the others "Custom social network icon" in Social Links same of above. The only difference is image size of 26x26. 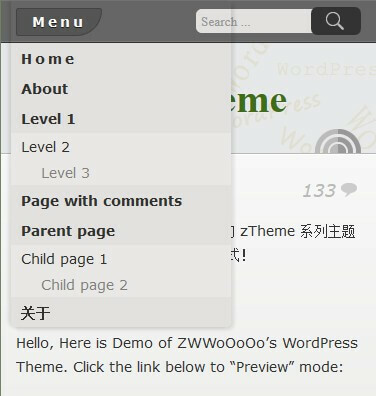 * Add theme options user guide on theme page. * Fix menu hover background style. * Fix: In gallery image post format with caption, the thumbnail image overlaps its white-wrapper. 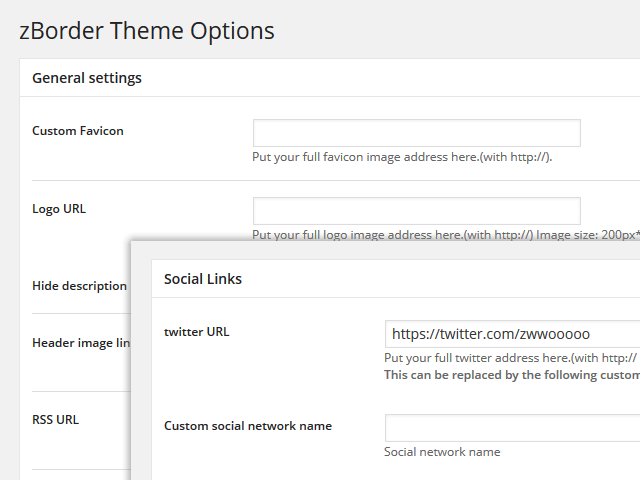 * Fix: Do not show all the social media icons by default when the fields in theme options are blank. 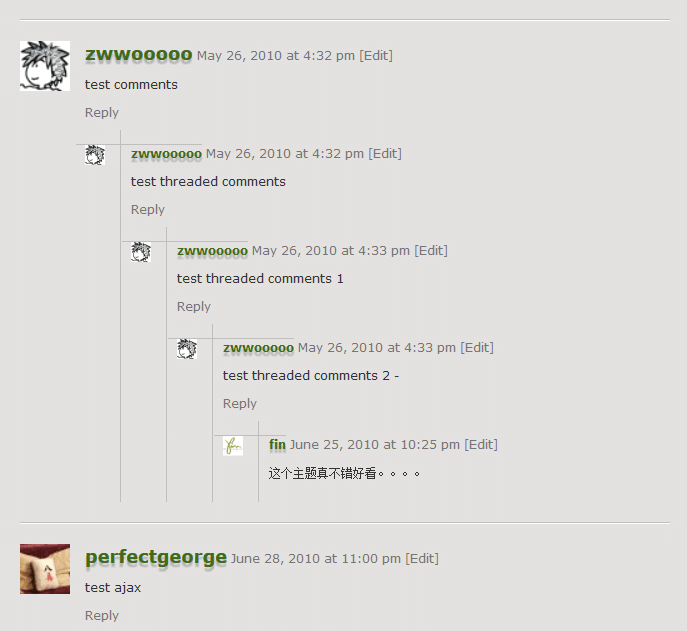 * Adjust the search box style. * Remove #wrapper background attribute when use custom-background. * Add "Back to Top" button when the width is less than 1000px.